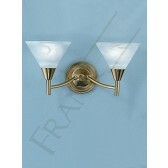 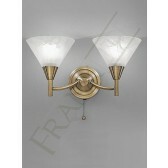 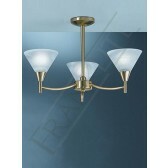 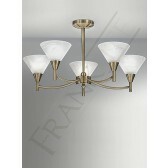  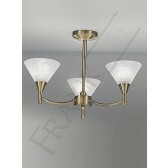 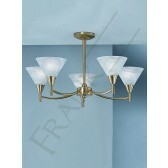 A satin brass finished 2 light wall light from the Harmony range by Franklite. 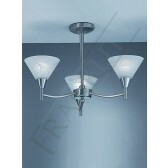 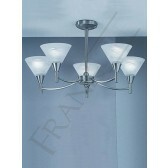 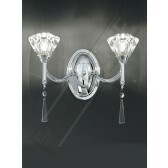 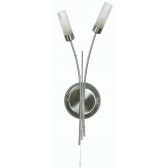 2 simplistic neat arms each holding upward facing alabaster effect glass shades. 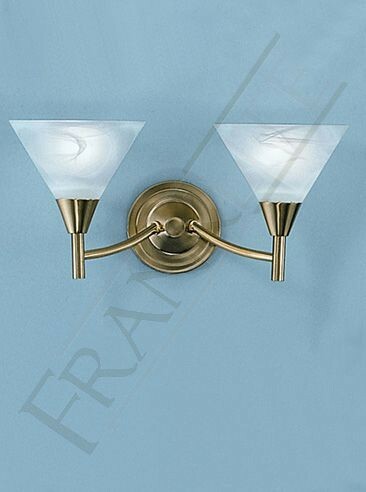 The classic wall light is a part of a complete range of bronze fittings. 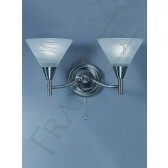 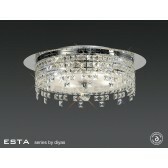 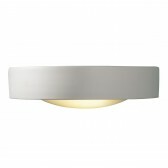 This light would look beautiful in almost every room of your home.